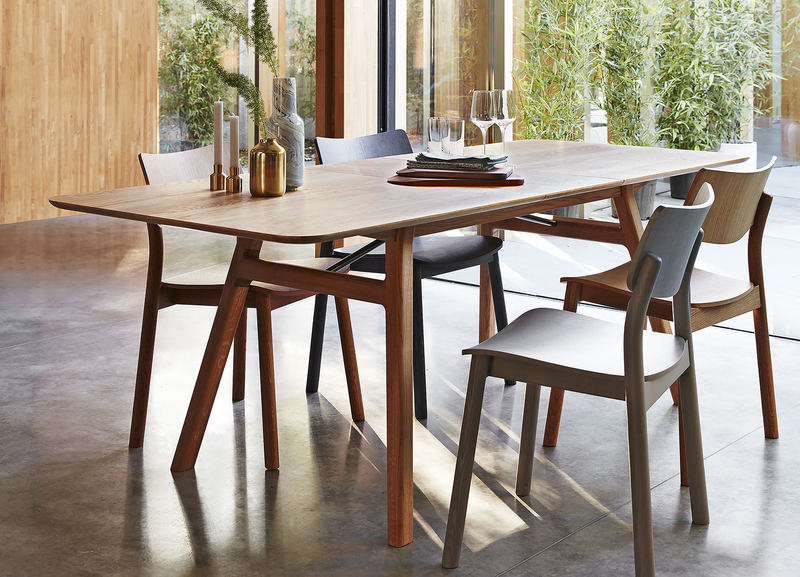 The 036 dining range was conceived as a simple, elegant contemporary dining collection that consists of useful and versatile pieces that celebrate quality of materials, detailing and construction. The pieces have an enduring aesthetic, but still possess a clear point of view. The slightly oversized round legs and upward sweeping backrest and gives the chair touch of personality and charm, while the visually dynamic a-frame design for the table and bench is inspired by civil engineering structures. Functionality was also key; Not only is the a-frame design immensely strong and stable structure, but it also makes the bench very quick and easy and to assemble. The designers worked very hard to get the ‘sit’ on the chair just right, with the plywood seat and back being carefully shaped to give maximum support. The chair also stacks to make the best of space limitations where necessary.